K-3 is a microbiological parasite, which enters the human eye mucous membrane in search of it scientifically engineered food source. This food source is the optic nerve where the parasite destroys the host sight by its own feeding. The research development and deployment of K-3 by terrorists follows a logical and probably course. 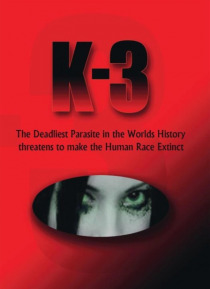 The novel follows the parallel paths of survivors and the destructio… n caused by K-3. Your sense of sight will never again by taken for granted. Please watch out for Brentwood 2 coming out September 11!